Sometimes we feel like our best laid plans are being foiled or interrupted. No matter what we do we just can not get the results we want. Today’s message tells us that we are NOT being foiled. 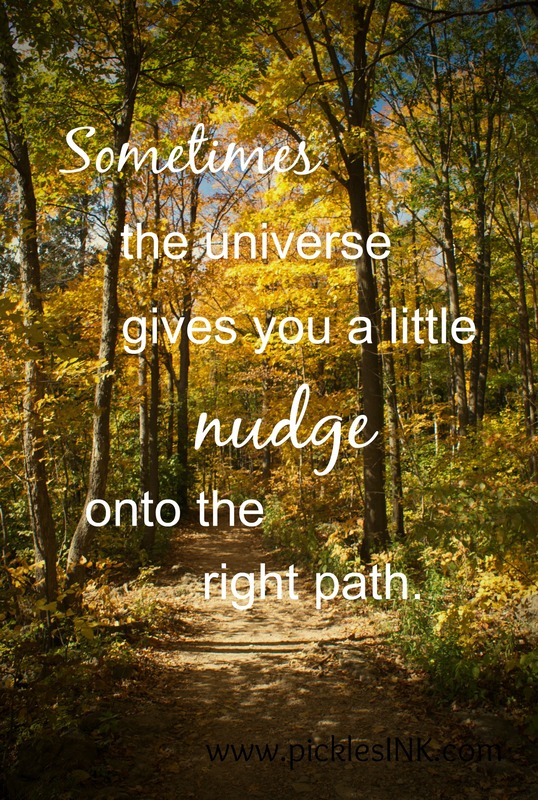 We are getting a nudge from the Universe to put us on the path we are supposed to be on. We are being nudged onto the path that fits our life purpose. So…Take a leapt of faith and go to where you are being nudged. Believe in highest good of you and all. -Beautiful weather at recess time. Make no mistake adults need recess too. -Catching up with Alex, Jackie, Jody and Cathy. Hearing from Jul…is always a good thing.